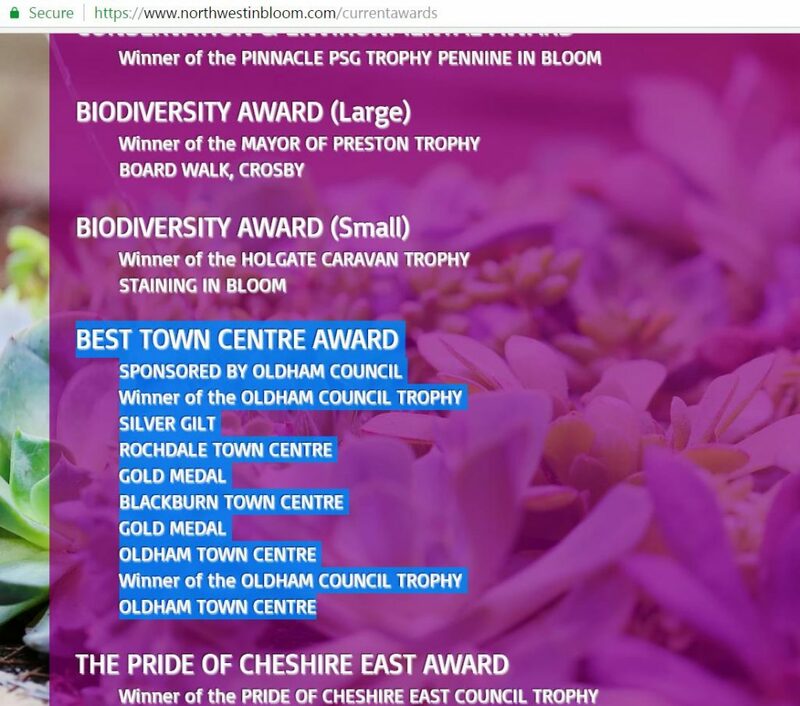 There is nothing quite like edging your bets, I wonder if Oldham Council will win North West in bloom best town centre award again this year? You could not make this up, there’s no prestige in Oldham Council winning an event they both sponsor and enter to ultimately win a trophy named the Oldham Council trophy. There are thirty nine local authorities in the the North West and just five of them choose to waste public money sponsoring North West in Bloom and three of them are in Greater Manchester namely Oldham, Manchester & Bury the other seven GM and twenty seven NW authorities have better things to do with their budgets. Oldham had seven green flag parks before Jim McMahon’s administration took over in 2011 it now has just two.